Home ⁄ What is a Red Packet? What is a red packet? Everyone has struggled with gifting- whether it is someone who is impossible to buy for or the stress of finding the perfect last-minute gift. This is where Red Packet comes to the rescue. As an innovative experience gift concept, Red Packet enables you to provide the gift of an unforgettable memory. Simply choose from one of the eight exclusive Red Packet Gifts. Each package is tailored to provide a range of experiences that will suit all interests and personalities. The Red Packet Gift arrives in a beautifully decorated box, containing a booklet outlining the wide range of experiences offered. The gift recipient can browse through the booklet, choose their perfect experience and make a booking according to the instructions. Our Experience Partner will then reserve the booking and bring the experience gift to life. The recipient enjoys the unforgettable experience! Congratulations on receiving a Red Packet Gift! 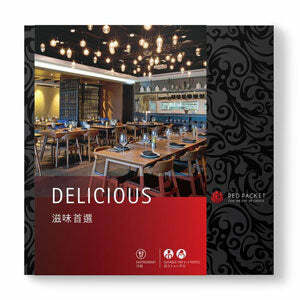 Inside your Red Packet gift box, you will find a booklet outlining a wide range of experiences. Choose one of the experiences for you to enjoy. Book a time for your experience by contacting your chosen Experience Partner and quoting the 10-digit Card Serial Number. Remember to bring your Gift Card with you on the day of your experience, and give it to our Experience Partner upon arrival. Enjoy your Red Packet experience! Does a Red Packet Gift expire? Yes, and the expiry date is printed on the gift card. What if I’ve arranged my experience, but something comes up and I can’t go? Can the validity of a Red Packet be extended?